You should all know by now that Linz is always up for some Denver the Last Dinosaur! Jared Hess to Direct ‘NickToons’ for Nickelodeon Films and Paramount. More Top Gun 2 shenanigans abound! Jerry Bruckheimer teases possibility of Top Gun 2 with Tom Cruise photo. Already tackle Hyperstone Heist and Turtles in Time? Well, Teenage Mutant Ninja Turtles: Mutants in Mahnattan is a-comin’ this summer! 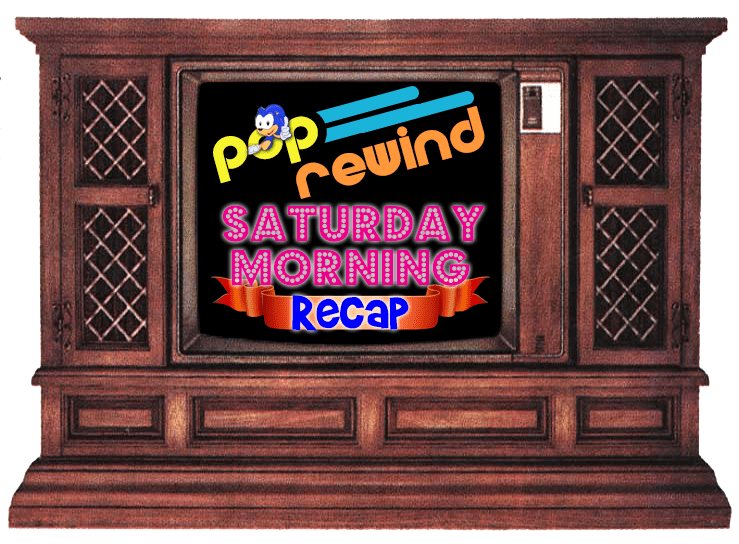 We returned with Season Two of the Pop Rewind Podcast! In this episode, we tackle pizza. Be sure to tweet at us and let us know if you’re #TeamPanzerotti or #TeamCalzone. Linz went a little further with the pizza obsession this week with a post on Bagel Bites: In Case You Wanted to Eat Pizza Anytime. While the Rediscover the 80s Recurrent Events Podcast is on a short hiatus, that doesn’t mean they’re slowing down in terms of recapping all the 80s news you can use! The Horror Movie BBQ puts Kenner in the Spotlight with Hooray For The Police Academy! Linz is in full X-Files mode, so of course we need to link to David Duchovny’s interview on the Nerdist Podcast. Did you know the X-Files theme song has lyrics? David sings ’em for us! Abe Vigoda, of Godfather and Barney Miller, passed away at the age of 94.